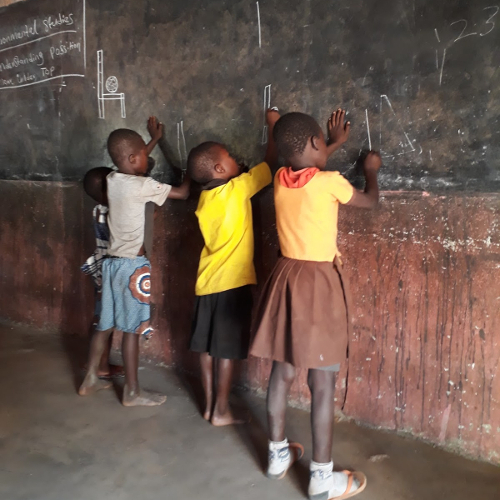 Together with those involved in the education system, BRAVEAURORA seeks to reach a higher number of schoolchildren and their regular attendance, to increase the quality in the classroom and to avoid drop-outs, for example due to teenage pregnancies. BRAVEAURORA works with the Ghanaian Education Service, directors, teachers, parents’ representatives and community representatives to increase student performance and overall quality in schools. Here, for example, scholarships are awarded to the best students for learning motivation. A major project in education is the Teachers Incentive Program. This reward system aims to increase the attendance, motivation and performance of teachers through individual and group rewards. Evaluate teachers and their teaching methods and, if necessary, create measures for change. On the one hand, with this incentive system, teachers benefit from various rewards such as paid IT courses, on the other hand, it creates space for access to high-quality education. Furthermore, BRAVEAURORA opens various training courses with new, innovative teaching methods in collaboration with (above all local) partner organizations and supports volunteers in their training as teachers.